What are the advantages if using water-fed pole To Clean Windows? Window cleaning has evolved with technology and one important tool that has been developed for this industry is the water-fed pole that should be used on any house for a variety of reasons. It is a pole system using a telescopic pole for cleaning windows where a brush or several brushes is attached to the end of the pole that can easily access heights of seventy feet. Pure water is then pumped up through these poles which allows the window cleaning to scrub and rinse away any type of dirt and grime on the windows. And because the cleaning process has pure water, the windows can then be left to dry naturally with the perfect crystal clear finish. What are the advantages if using water-fed pole? It is a great system to use for particularly a lot of homes with windows that are two and three stories high. Also, the water is eco-friendly. The water-fed pole system eliminates the need for ladders, drastically reduces the risk of injury and damage to the property. 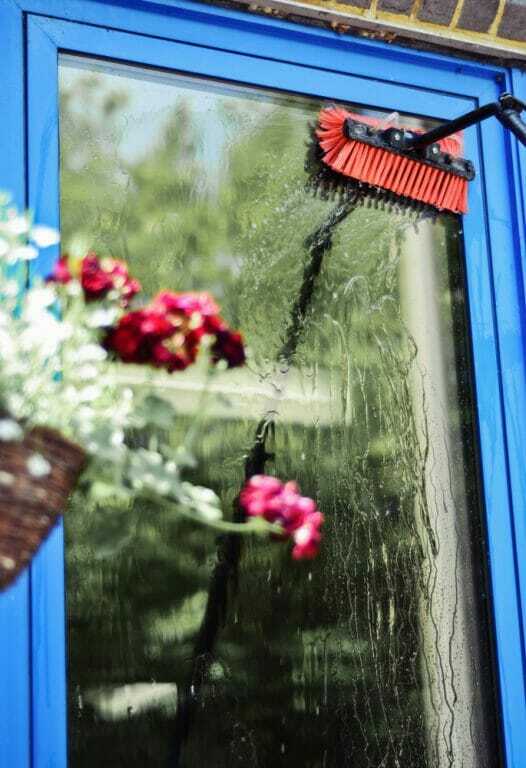 The only consumable this water system uses to clean windows is pure water which is completely harmless to your property, garden, and the environment. So to those of you who care about the environment, the water-fed system is great for you. Water-fed poles, are very versatile. The nice thing about water-fed poles is they can do a lot more than just one thing. They can reach your high and angled windows that you have such as skylights which are up on your roof which even when you’ve got tall ladders, you can’t still reach it. Once you are using the water-fed poles out on the windows, these actually clean the frames as well and get that taken care of so it almost takes away an extra step of making sure that that area of the window is clean. And then lastly, because of its versatility, you can use it for cleaning conservatory roofs, fascias, soffits, solar panels and then lastly, if you have a business you have some high commercial signs you want to keep looking nice and sparkling, the water-fed pole is great for that as well.